Luke Brothers Floor Covering works with you in mind. It’s not enough to provide you with the highest quality in home furnishings; we want to ensure your Luke Brothers Floor Covering experience is exceptional from start to finish. From complimentary design assistance for everything we sell to certified installation experts and free delivery services, we will take every step to ensure your happiness and satisfaction. At Luke Brothers Floor Covering , there’s no better customer than a satisfied one. Still unsure about taking that step and beginning your renovation? With our worry-free guarantee, you don’t have to stress any longer! 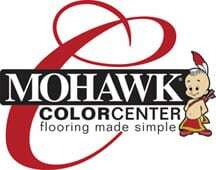 Mohawk offers a 60-day satisfaction guarantee, and at Luke Brothers Floor Covering , we will make sure you are happy before we leave!